Russell qualified as a Chartered Accountant (ICAEW) in 1996. He trained with KPMG in their London office. He spent three years in their Owner Managed Business department dealing with all aspects of accounting, tax, audit and business planning. This was followed by a two year secondment to one of the management consultancy departments where one of his main roles was business planning for organisations trying to raise finance. On leaving KPMG, Russell spent three years in commerce, initially in internal audit and then forecasting and budgeting. He has been a partner in Knox & Eames since 2000. 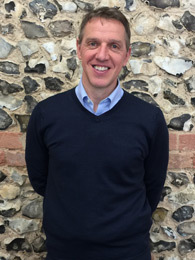 Outside work Russell is a keen cyclist, is an active member of the gym and enjoys all forms of sport and exercise. He is also on the governing body of a local special needs school. Su qualified as a Chartered Accountant (ICAS) in 1994. She trained with KPMG in their Edinburgh and London offices. She spent five years in their Owner Managed Business department dealing with all aspects of accounting, tax, audit and business planning. This was followed by a two year secondment to a Corporate Tax department. On leaving KPMG, Su spent 18 months as Financial Controller of an Owner Managed Business. Su is the founding partner of Knox & Eames. Outside work Su is a keen runner. She is an active member of a local running club and has run has run 2 marathons, several half marathons and regularly enters local 10k races. She is also treasurer to a local running club and a local special needs school association. 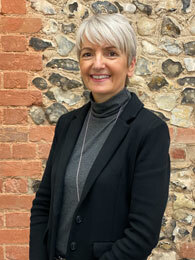 Helen joined Knox & Eames in 2003. She has over 30 years office administration experience. 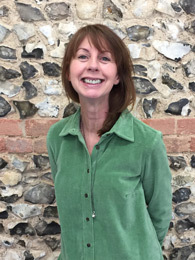 She has worked for a range of businesses including Berkshire County Council, Porshe Cars, Smith’s Crisps, The Bank of Ireland and The Royal Berkshire Hospital. She has experience of manual book-keeping, SAGE and Quickbooks. Helen is responsible for client book-keeping work, VAT returns, payroll processing and assisting with Self Assessment tax returns. Outside work Helen is an active member of the gym and particularly enjoys swimming and spin classes. Judi joined Knox & Eames in September 2016. She has over 30 years administration experience in a range of businesses including an independent insurance brokers, a theatre marketing company in the West End and was PA to the Chairman of Plc. Judi is responsible for all aspects of office administration. 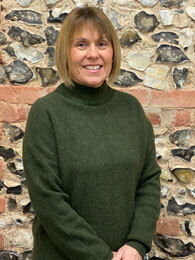 Outside work Judi enjoys horse riding, ballroom dance classes and taking French lessons.